School Holiday Cricket Coaching Clinics Sydney. Various venues. All ages. Sending a child off to a school holiday clinic can be a worrying time for many parents. Will my child be well cared for? Who is coaching my child? Is it just a child minding exercise? 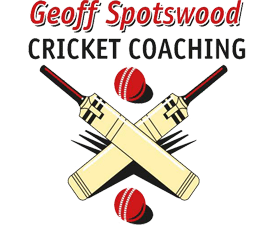 I have an outstanding reputation as an educator and coach with a proven track record over twenty five years of providing high quality cricket experiences for children. Cricket school holiday clinics are run by a Head Coach and all my Head Coaches are all qualified teachers. They have current first aid, anaphylaxis, sports coaching qualifications & Working with Children clearance. These coaches are leaders in sports coaching and highly regarded educators. They have been an integral part of my Coaching Academy for many years and have the experience and capacity to lead coaching sessions and mentor and develop younger coaches. Each cricket holiday clinic follows a similar format and provides an exciting and fun filled program for every kid regardless of age or experience. You don’t have to be good at cricket or have any cricket experience to have a great time. Cricket clinics are well designed and structured to cater for the age and experience of the children attending with special attention given to the activities, groupings and coach allocation. Children are welcomed and coaches are introduced. Clinic expectations and safety procedures are explained. Learning experiences begin with teaching the technique and mechanics of each skill after which the coach incorporates a series of skill practices and minor games which focus on that skill. This allows children to learn the skill then practise it to develop competency and game sense. Batting, bowling, wicket keeping and fielding are covered in the clinic. On the final day of clinics, kids are organised into teams for a World Cup of matches. This is an exciting way to conclude clinics and all players look forward to these matches. Older players are given the responsibility to captain & develop their leadership skills whilst assisting younger children in understanding how to play cricket. Parents and family are welcome to attend these games.